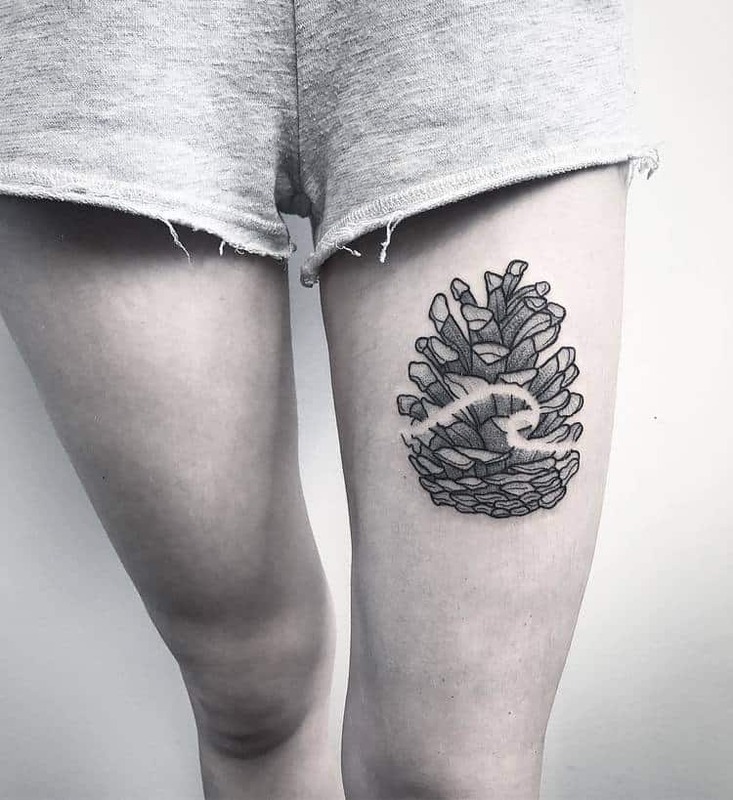 Having a pine cone tattoo inked on your skin you’ll not only hold a beautiful piece of nature but also an ancient symbol carrying multiple powerful meanings. 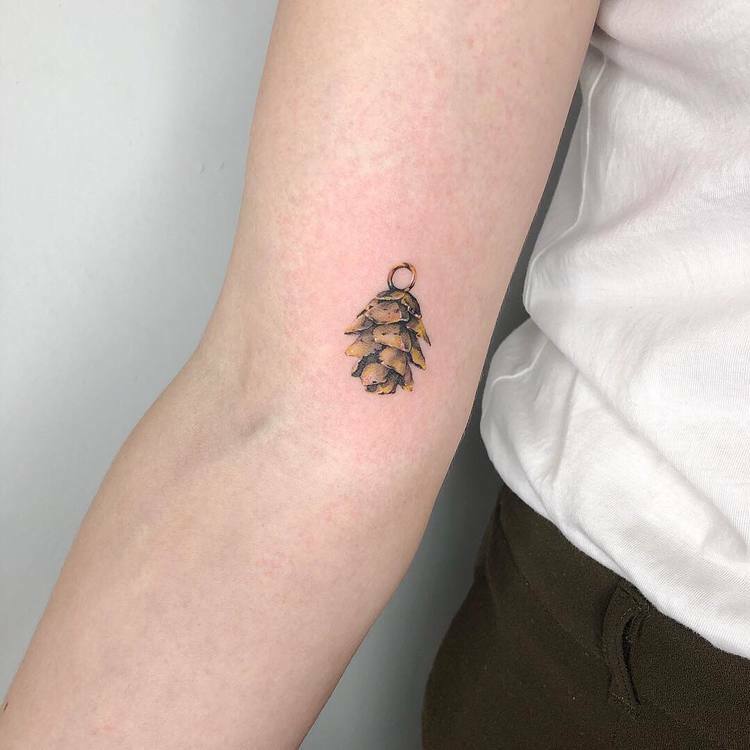 Pine cones have been found all over the world in various cultures symbolizing human enlightenment, spiritual illumination, and the pineal gland. 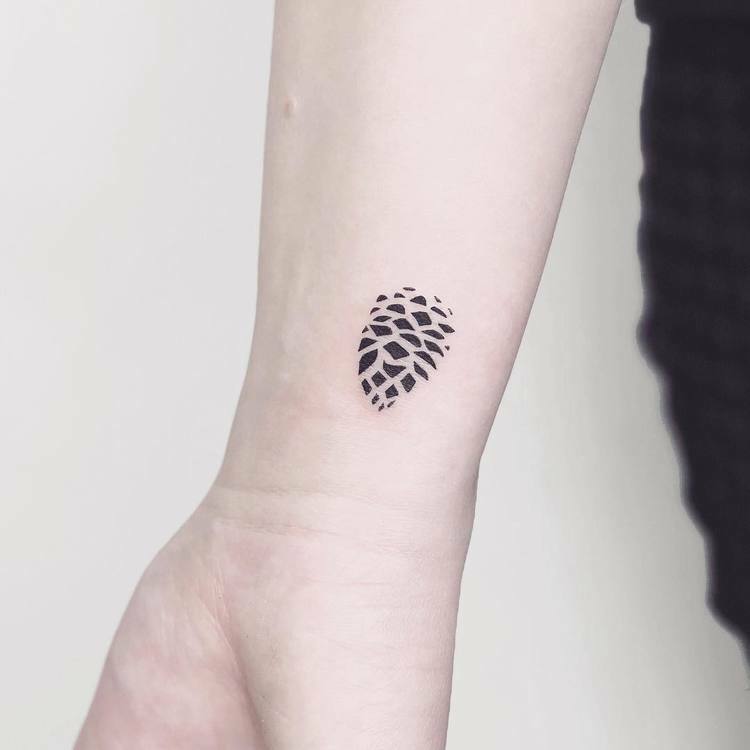 The pineal gland, which is named and depicted after the pine cone, is located in the center of the brain and is directly linked to the body’s perception of light. 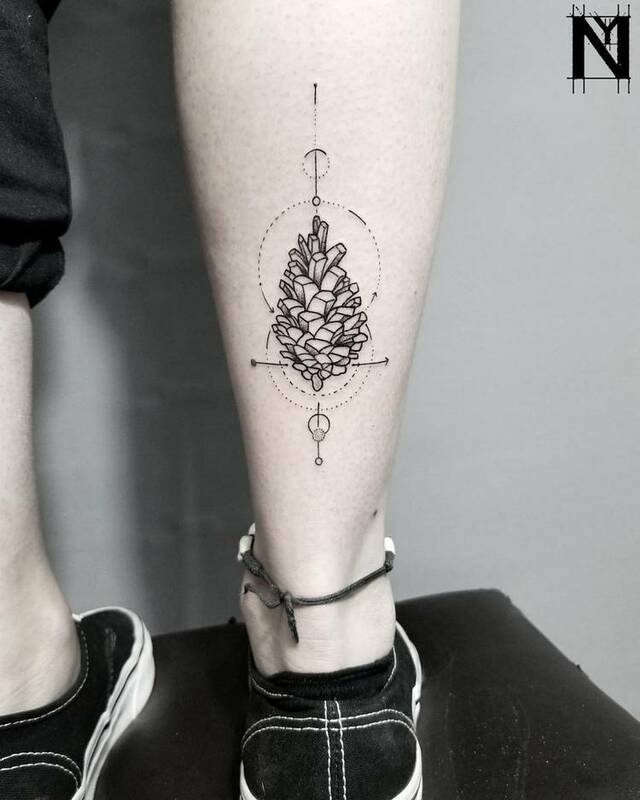 Many ancient cultures referred to it as the “Third Eye,” the “Seat of the Soul” or the “Epicenter of Enlightenment.” The pineal gland has long been seen as the portal that connects the physical and spiritual worlds, the two plans in which we all coexist. 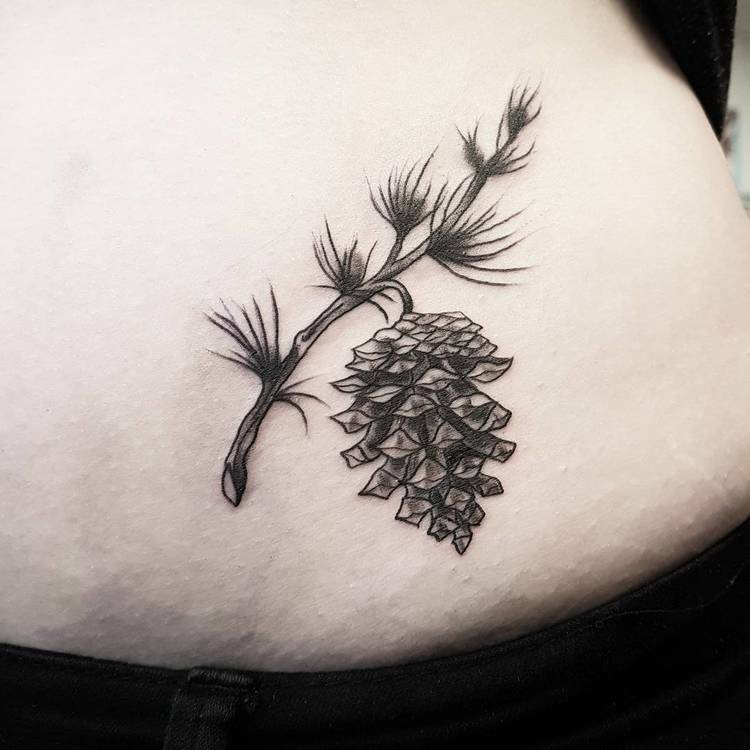 The pine cone is also a symbol of sexuality and fertility. 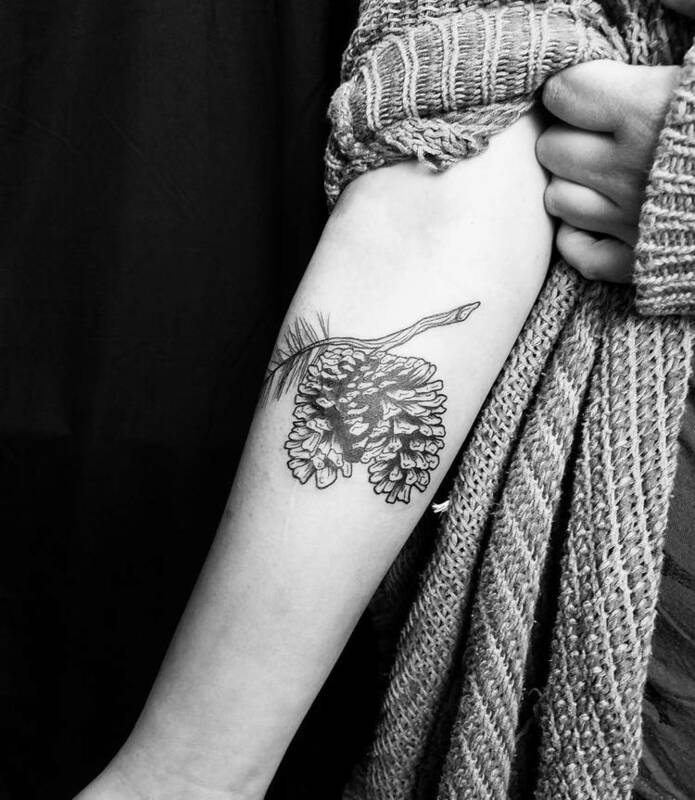 The Romans associated the pine cone with Venus, the Goddess of Love. 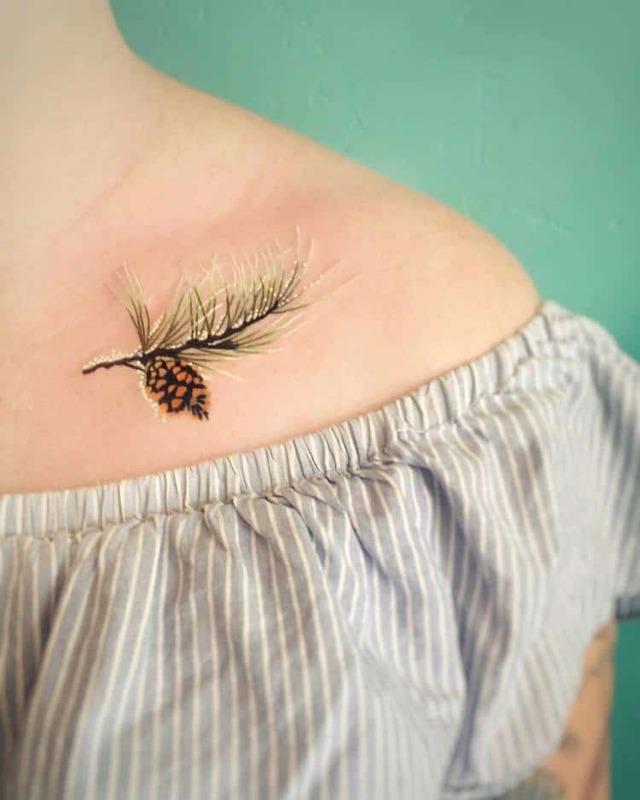 The Celts were gathering pine cones and use them as fertility charms. 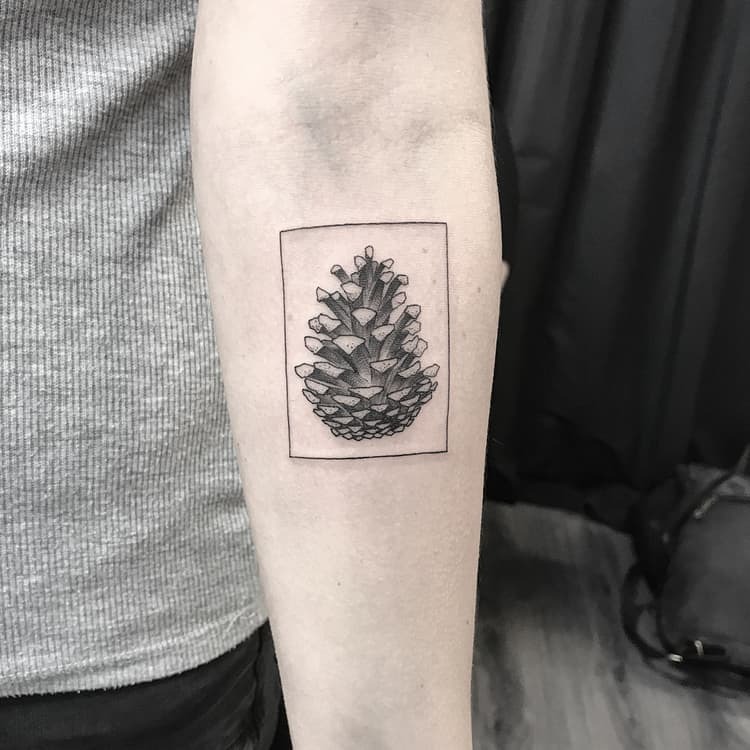 The physical form of a pine cone encompasses sacred geometry, spiraling in a perfect Fibonacci sequence in both directions. 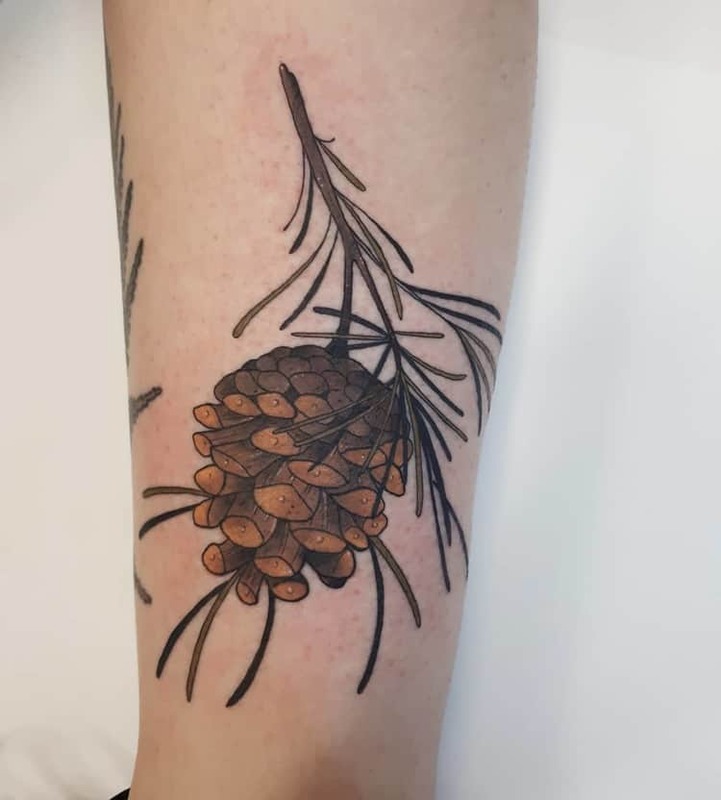 Due to their beautiful shape, pine cones are used in a great variety of arts and crafts, including wreaths, holiday ornaments, and decorations but they also provide great inspiration for botanical tattoo designs. 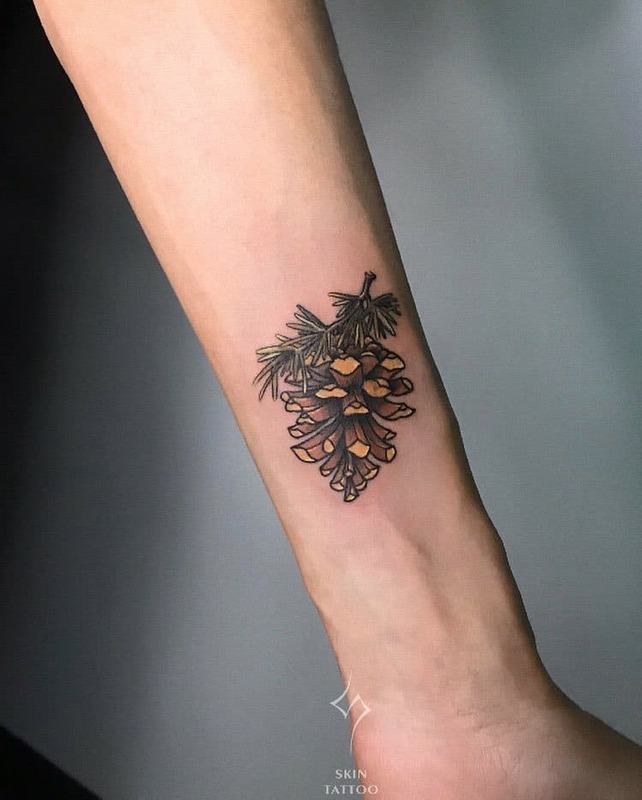 If so far you saw the pine cone as a common piece of nature, you should also consider the important symbolic meanings with which a pine cone tattoo can be associated. 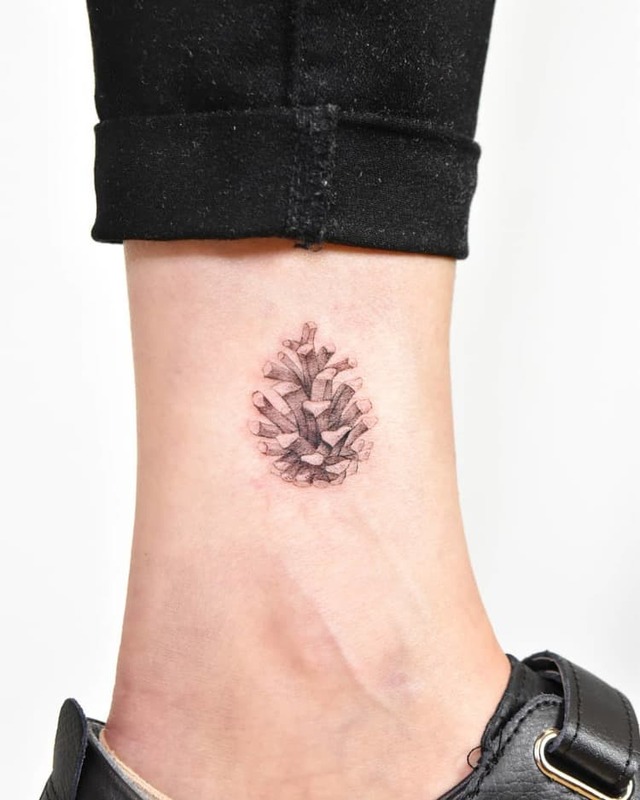 Embrace the nature and its beautiful wonders by checking our selection of the most charming pine cone tattoo designs!